​Atletico Madrid manager Diego Simeone claimed the point his side claimed in the 1-1 draw at Villarreal could prove to be an important one. Los Colchoneros took the lead through left back Filipe Luis but looked shaky at the back in the absence of Diego Godin as Mario Gaspar netted a scrappy equaliser. 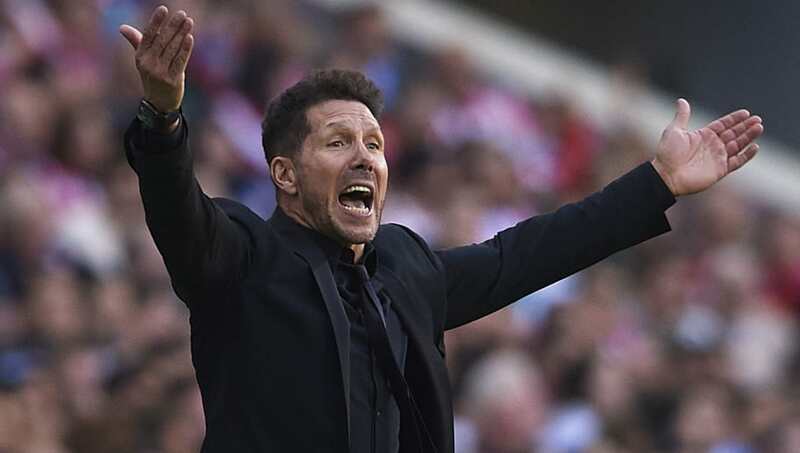 As quoted by ​Marca, Simeone admitted he never expects an easy game when his side travel to Estadio de la Ceramica. "It was a tough, intense match with a strong rival," Simeone said. "We tried to dominate by putting more players in the middle of the pitch and to let people move forward. "The goal came, they drew level and they had other chances but here it is always hard." This season's ​La Liga looks set to be one of the most competitive in recent years, with Real Madrid notably struggling and Barcelona enduring patchy form, and Simeone noted the crazy nature of Spain's top flight. "We are only thinking of ourselves," he added. "It is an important point against a difficult opponent and the league is chaotic. "All of the teams are competing and this is the most competitive season I've seen since I've been in Spain." ​Atletico are currently fourth in La Liga, two points behind Barcelona following their 4-2 victory over Sevilla on Saturday evening, with Alaves and Sevilla second and third respectively. Los Rojiblancos play ​Borussia Dortmund in Germany in the ​Champions League before their next league game against Real Sociedad at the Wanda Metropolitano.